Please check out one of the best online beer communities in and around Portland, OR and abroad. #PDXBeerGeeks are beer people like you and me. 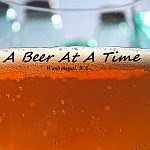 If you are even reading my blog, you must be a beer geek... or just really bored. Get involved, and experience the #PDXBeerGeek community. Why not start at the new Guild Public House? Check out the write-up of this grand re-opening HERE, via the @PDXBeerGeeks Blog. Thanks for sharing the #pdxbeergeeks love!